I’m typically reluctant to be in front of a camera and usually feel quite self-conscious — especially about a formal photograph. Gayle, however, made me feel “at home” and relaxed during my photo session. 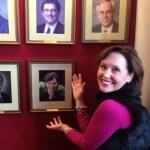 The result is a nice portrait that I’m proud to say now hangs in The University of Alabama’s Alumni Hall among other past presidents of the National Alumni Association. 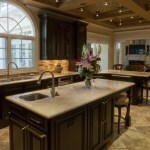 Gayle has provided professional photography for several of my remodeling projects. Her expertise has contributed to my entries awards success! She is always on time and prepared to provide excellent service with a smile. Most importantly, she is most considerate of my clients and able to show off their completed projects. Her expertise has contributed to my entries awards success! Met Gayle Hill through the Local Chamber of Commerce, Central Pasco based in Land O Lakes, FL, and it was one of the best introductions from the Chamber that I have received. She is the consummate professional and has become an added benefit to the value to my business and my team in numerous ways. I am a Commercial-Retail, Residential Real Estate agent and have been doing this since 1992 and we always need market exposure to sell the properties I represent. Gayle has shown many successful and in some innovated ways to accomplish this that I had not previously used to accomplish this task. Most recently she has introduced me to the use of drone pictures for a marina I was representing, video presentations for project developer I was working with, specialty flyers I have used at trade shows, like high end RV’s valued in $1-2 million dollar value range. I would be lost in many respects if she was not available as a sounding board to help me determine how best to market a property or a business for sale. Met Gayle Hill through the Local Chamber of Commerce, Central Pasco based in Land O Lakes, FL, and it was one of the best introductions from the Chamber that I have received.